Would love to hear some feedback on this as well. 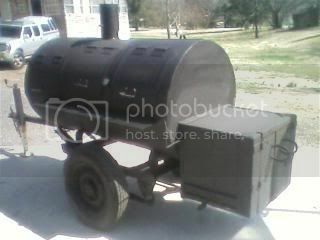 I have a friend who has some bear and is bringing it out in a few weeks to try smoking. You might want to read up on Trichinosis first. I believe undercooking the bear meat is a cause for concern. Here's a link that may be helpful. Thanks. Wouldn't have thought of that as a worry. But the good news is I was thinking more along the lines of cooking to pulling temps. So, did you end up doing this and how did it turn out? I love exotic meats and bear is one I had not had until I went to a wild game feed almost 2 years ago. They had bear patties that were grilled and some bear patties in a sauce. Both were good, both were rich and both were as far as I could tell, very lean. I wonder about getting the meat to pulling temps as you might end up with a big lump of tough meat that's inedible. But I want to hear how it went. Iv been asked to cook some Bear this weekend, I know very little about it and could use some help. Now its frozen and I dont know what cut it is. If all else fails ill wrap it in beacon!